Ethel Ritchie could play just about every part the studio gave her. It was not until 1922, however, just as the actress was getting ready to pull the plug on her career, that she received perhaps the best reviews of her career. Instead of wasting her time in comedies and Westerns, perhaps Ethel Ritchie should have been a vamp, like the one she played in A Wonderful Wife. A Wonderful Wife tells the story of English service life in East Africa. Miss DuPont plays the wife of a young officer (Vernon Steele) in the British service who is sent to Key Island. When they get arrive, they find all sorts of immorality going on. It must have been those hot, steamy jungles that brought out the vamp in Ethel Ritchie, who goes after Miss DuPont’s husband. Ethel Ritchie, however, had only one year left in films before she vanished. What happened to her? Who was she? Where did she come from? My research uncovered some answers. She was born Ethel Anna Ritchie on October 22, in San Diego. The year was either 1890 (the year provided on her death certificate) or 1891 (the year given on the 1900 U.S. Census). Ethel was an only child born to Matthew and Alma Louise Sargent. Matthew, a mining engineer, came from England; Alma was born in Wisconsin. 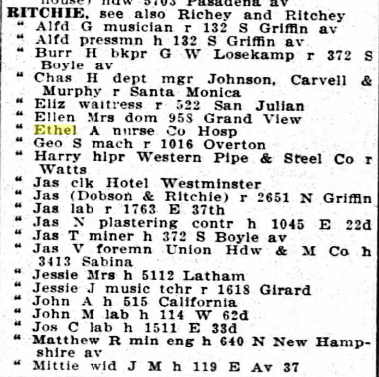 By the time Ethel was 10, the Ritchies had settled in Los Angeles. From all indications, nursing was Ethel’s first occupation. 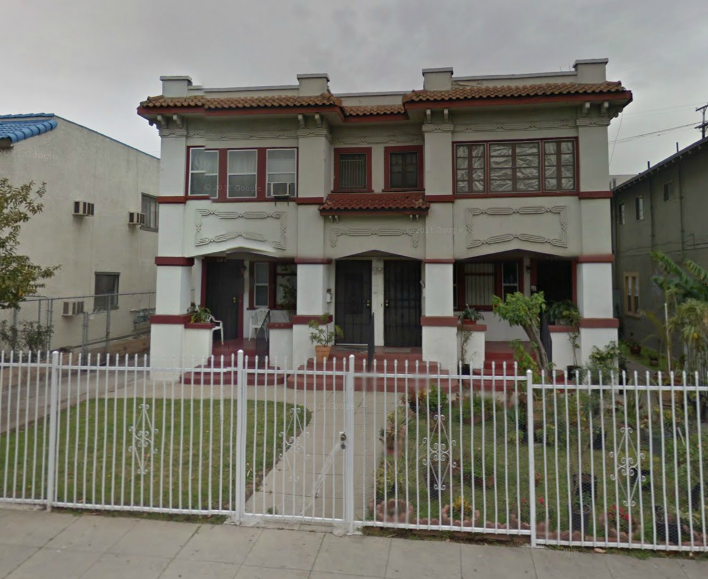 By 1912, she was working in that profession and living with her parents at 640 North New Hampshire Avenue in Los Angeles. Somewhere along the way, Ethel gave up the nursing profession and ventured in the film industry. While she may have dabbled in small roles starting in 1915, by 1916, she was working steadily on the silver sheet. An August 1916 newspaper clipping noted that Ethel had left Balboa Studios in Long Beach and was enjoying a six-week vacation in Alaska. 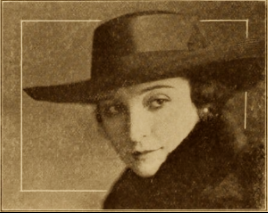 Ethel played little Gloria Joy’s mother in two comedies and a double role in The Understudy (1917). In August 1917, newspapers reported that Ethel was appearing with Kathleen Clifford in The Twisted Thread and would have the “distinction of being the first to be filmed on Balboa’s new $30,000 stage.” She signed with Universal in 1919. After two feature films, The Weaker Vessel with Mary MacLaren and The Virgin of Stamboul, in which she played the Sheik’s favorite wife–Tod Browning directed this picture, Ethel made a series of two-reel Westerns with J. Farrell MacDonald. For the rest of her career, Ethel appeared in leading roles in Westerns and comedies, mostly short subjects. She made her last film, The Secret Code, with Lucille Ricksen and Fontaine La Rue (two of my favorites) in 1923. Ethel Ritchie then vanished from the scene. As it turns out, Ethel opted for domesticity. 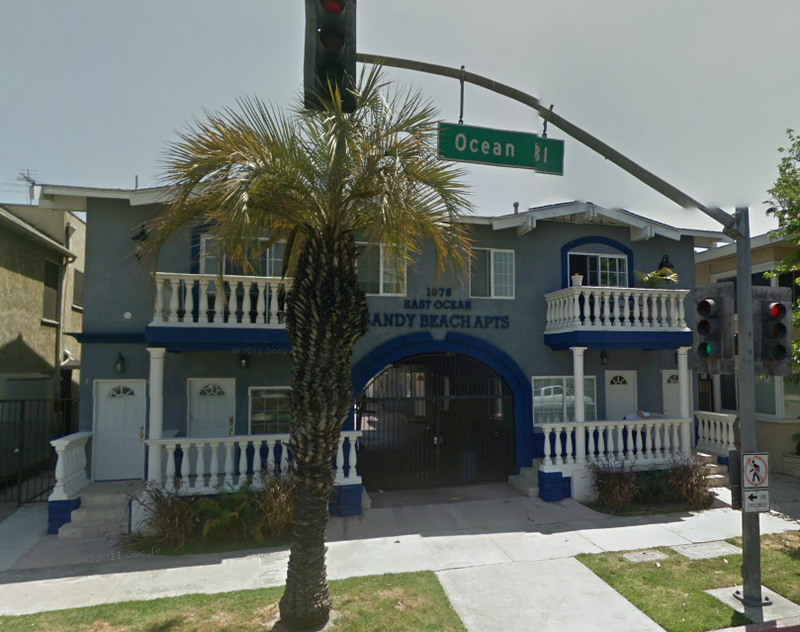 In August 1924, she married Frank Larco, a Santa Barbara merchant. 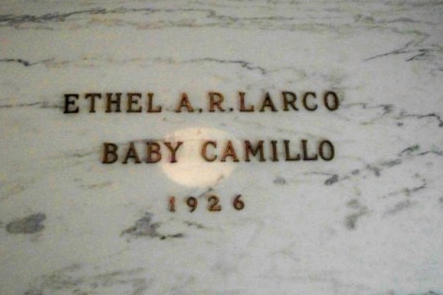 Their son, Camillo Larco, was born prematurely on June 15, 1925. Sadly, he died four days later. Ethel soon followed her son in death. She died three days after Christmas on December 28, 1926. She was only 36 years old. 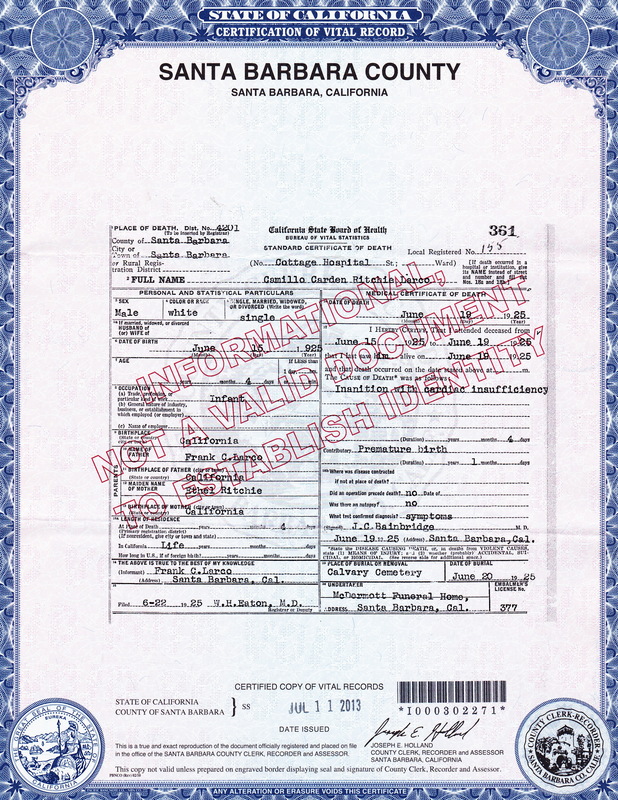 Her death certificates lists “purpure hemorrhagica after shot of Salvarsan” as the cause of death. Salvarsan was a drug used to treat both syphilis and sleeping sickness. 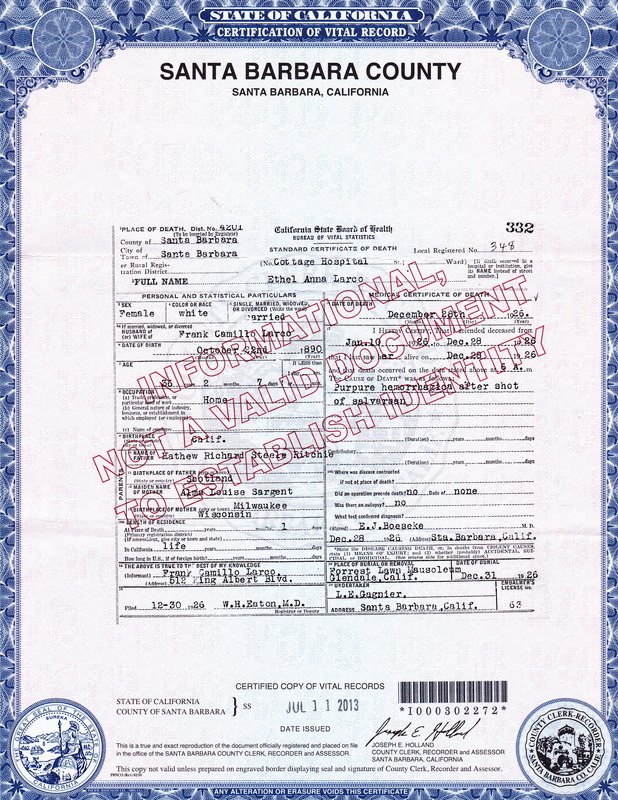 One gathers from studying the death certificates that little Camillo was exhumed from Calvary Cemetery in Santa Barbara and entombed with his mother at Forest Lawn in Glendale (Plot: Azalia Terrace, Great Mausoleum, Distinguished Memorial, Azalia Corridor, Wall Crypt 9). 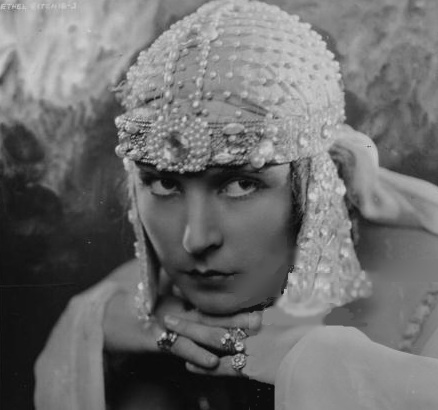 While my research shed some light into the life of this mysterious actress of the silent screen, she took many of her secrets with her. I may visit her crypt when I’m in Los Angeles next month, but I’m betting Ethel won’t be disclosing any of the answers to my questions.